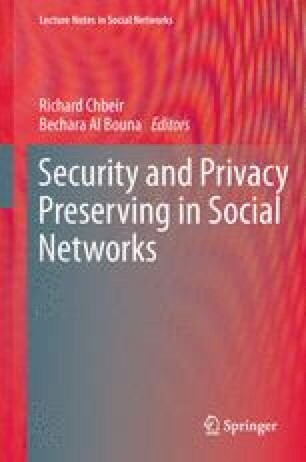 Recently, motivated by the expansion and the emergence of Web Based Social Networks (WBSNs), a high number of privacy problems and challenges have arisen. One of these problems that is currently attracting the attention of scientific community is the design and implementation of user-managed access control systems. In this regard, there exist a well-known set of requirements (relationship-based, fine-grained, interoperability, sticky-policies and data exposure minimization) that have been identified in order to provide a user-managed access control for WBSNs. These requirements, partially addressed by the works proposed in the literature, represent “building blocks” for a well defined user-managed access control model. In this chapter, we first provide a conceptualization of a WBSN to propose an access control model, called SoNeUCON ABC, and a mechanism that implements it. A set of mechanisms among the recently proposed in the literature are selected such that, when deployed over SoNeUCON ABC, the whole set of user-managed requirements can be fulfilled.